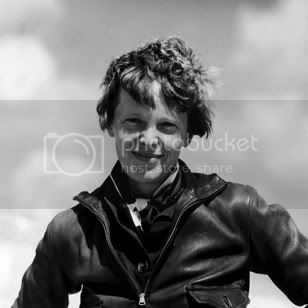 Today is famous aviator and feminist icon Amelia Earhart's 115th birthday. She was pretty awesome. In case you're wondering what to get her for her birthday, I'm afraid I have no idea. You see, even though she disappeared quite some time ago, in 1937, at the age of 39, and we're not sure exactly where she ended up, I can say that, in all confidence, that she's dead. Well, maybe I'm just making an assumption here, but most people do not live to the age of 115. And yet, the news seems to report that she has turned 115 years old today. Funny, that. I owe a great deal of credit to Cartoon Network for making me the anime fan I am today. Of course, I also owe Sci-Fi (SYFY, or whatever they're calling it this second) and Encore Action Channel as well, but let's put them aside. When I was still a burgeoning anime fan, with only Ronin Warriors and the first two seasons of the Dragon Ball Z dub under my belt, Cartoon Network entered my life, and so did a programming block called Toonami (like a tsunami of cartoons!). It didn't just affect me, but an entire generation of anime fans, and cartoon fans in general. Read more about Toonami Renaissance? So this weekend I visited my first convention, MAGFest 2012, held this year at the Gaylord Convention Center at National Harbor, MD.